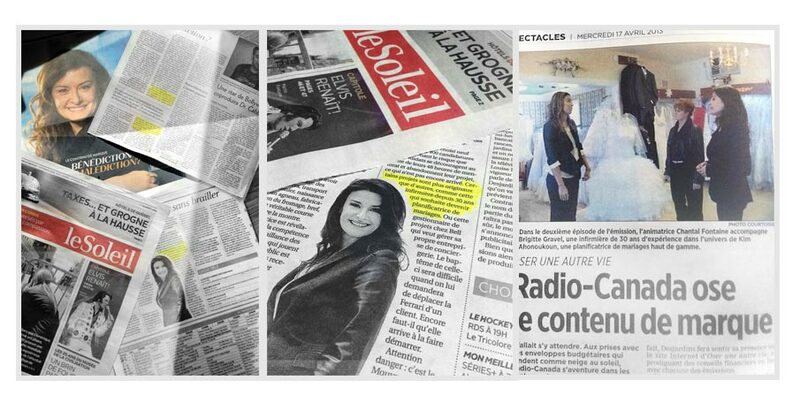 KA WEDDING is featured in many Montreal and Quebec City newspapers today, following the press conference of the new TV Show “Oser une autre vie” broadcast by Radio-Canada. Kim, the company owner, will be the the mentor of April 29 participant. We wanted to share some of these articles with you.